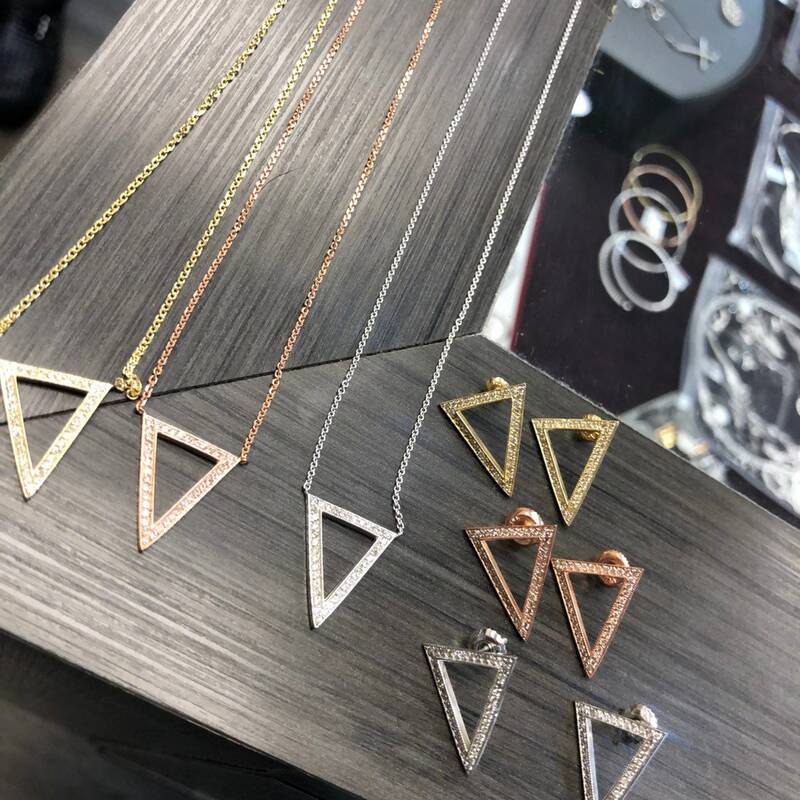 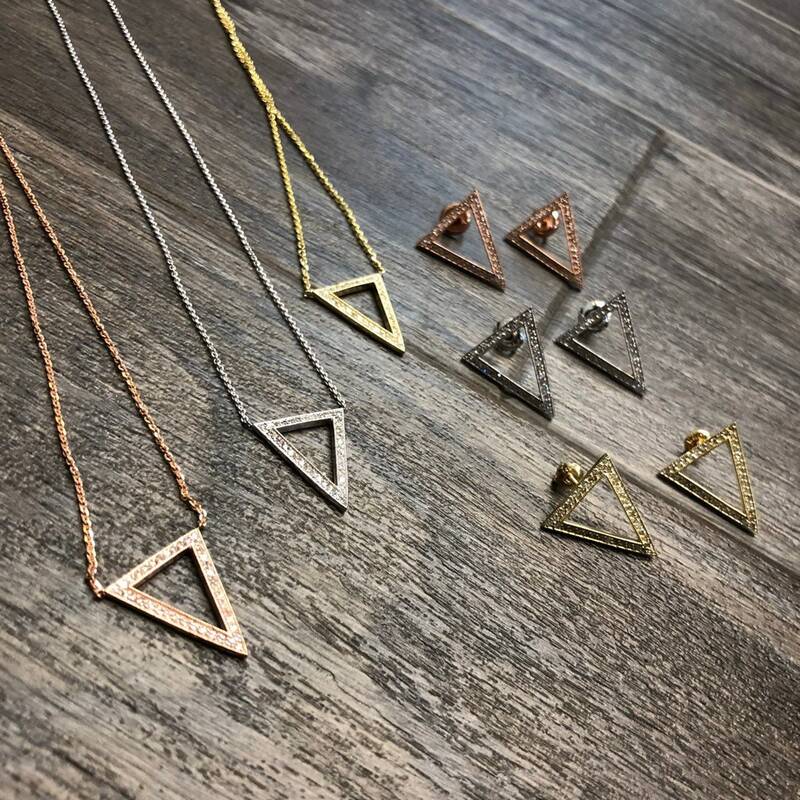 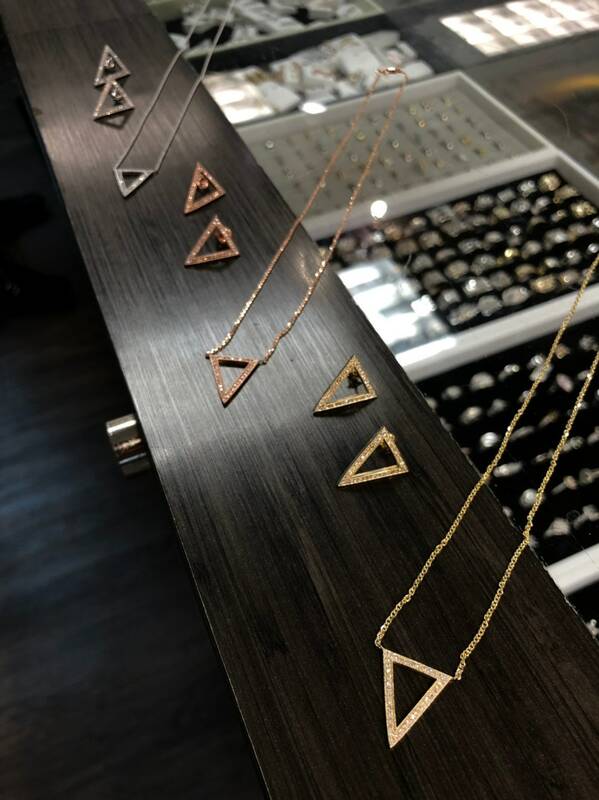 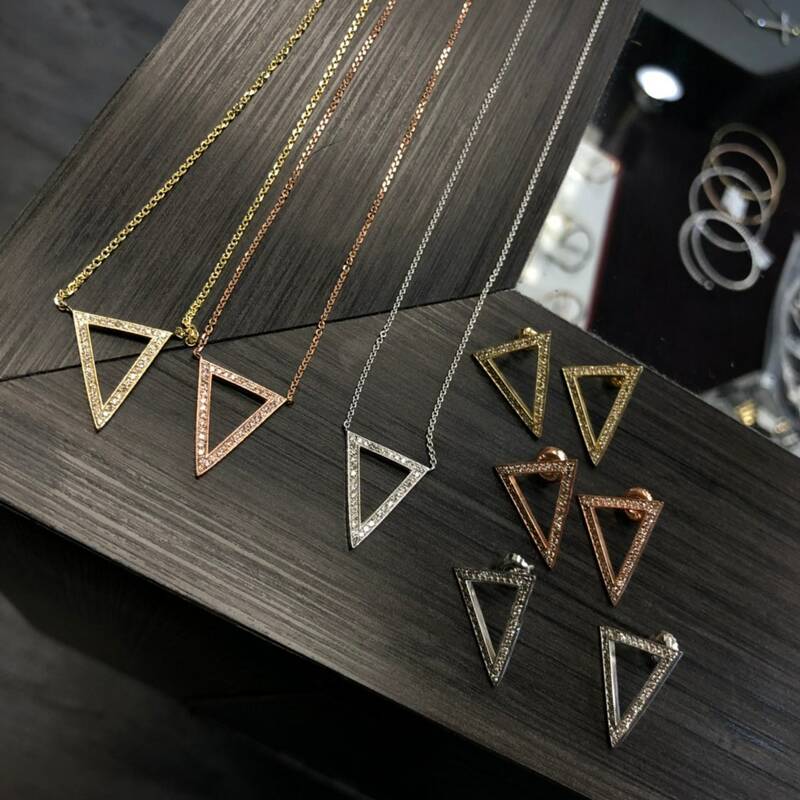 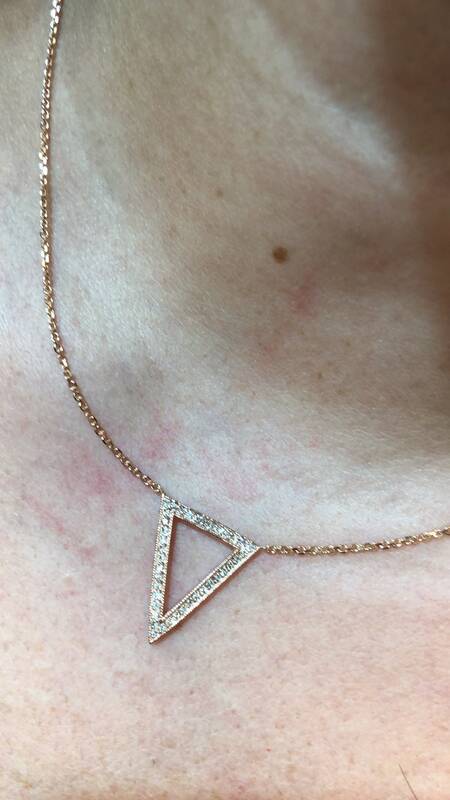 Beautiful and edgy 14k gold diamond triangle earrings and necklace set. 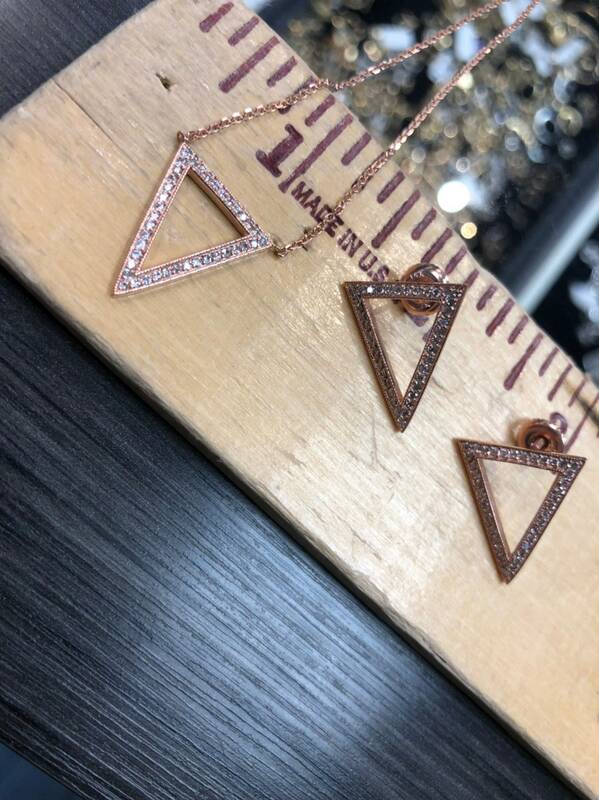 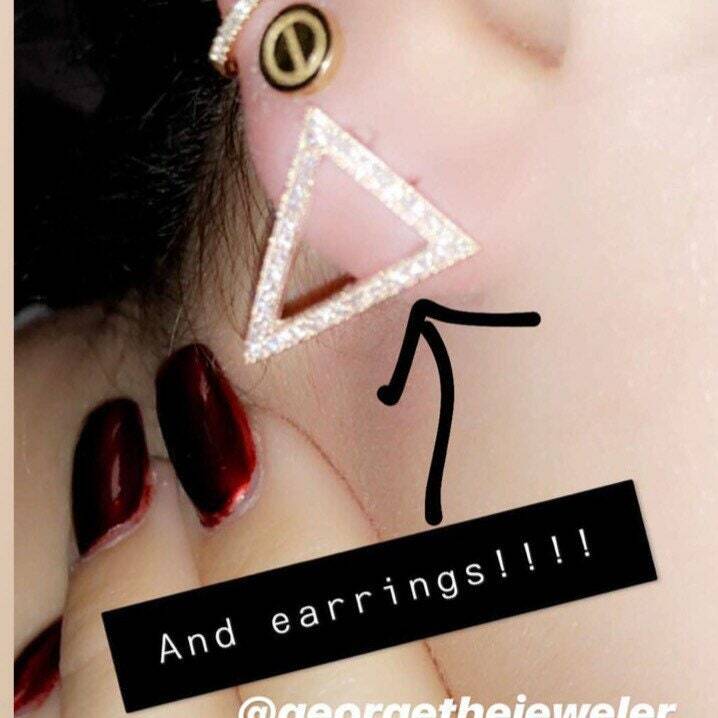 Each triangle contains 0.40 CT’s of genuine g color vs quality diamonds. 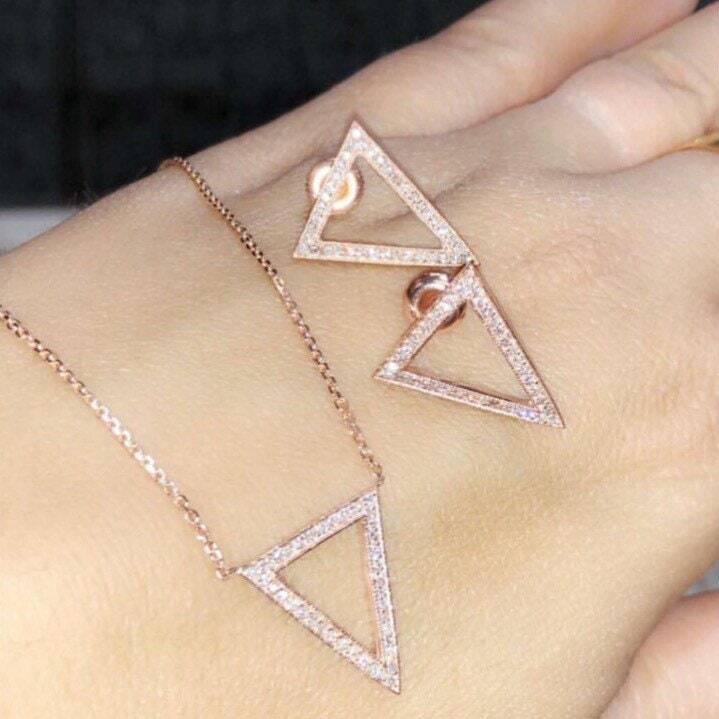 Available in rose, yellow or white gold.